As my wife will gladly tell you, I run very little risk of being called “handy” with a hammer or with any other tool. Indeed, it’s pretty clear that when God was passing out the carpentry and mechanical skills, I must have been busy reading the Wall Street Journal! Given this genetic foible in my manhood, I have been forced to live vicariously through the handiness of others by watching episodes of home makeover shows or reading “do it yourself” magazines. In fact, I was doing just that when I can across an article that intrigued me. It chronicled the before and after remodeling of 19th century Harlem, NYC townhouse. Once a private residence, the three-story townhouse had later been turned into a boardinghouse and then abandoned. After many years of neglect, the house’s unique treasures and character were hidden: wooden flooring buried under layers of linoleum and vinyl, detailed woodwork smothered by a decades of paint and drywall, and beautiful pocket doors sealed up inside the walls. Indeed, the new owner had much work to do, but he did it well. He painstakingly pulled the house apart and then reassembled it, using the dwelling’s original elements whenever possible. Mirrors, marble and wood surfaces were stripped and cleaned. And when repairs were not possible, exact replacements were milled and matched. He stated that his goal was to honor the past while bringing it into harmony with the present. 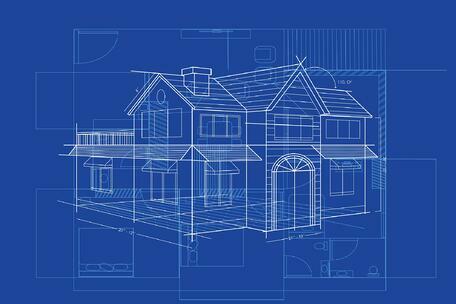 So, here are a few helpful strategies for those looking for a blueprint to “remodeling” their fathering. “Where are you getting your concept of what it means to be a good father? From your dad? From neighbors or co-workers? From the media?” Are these the best role models? Pretty tough questions but necessary ones to consider if you want to build a fathering foundation that will help you be the best dad that you can be. 2) Don’t be reluctant to get help – I suspect that when the owner of the Harlem townhouse first entered the place, he said two things: “What a mess!” and “I need some help…fast!” When remodeling your fathering, you may have a similar initial perspective. So, get help. Reach out to others in your family, at church, at work, and in your community. You never know, someone in your network may have just the perspective or strategy that you need to hear in order to solve a particularly difficult fathering dilemma. I also encourage you to join a fathering group and if you can find one, start one. You don’t have to be an expert to do this. Why? Because good fathering is less about having all the right answers than about having all the right questions. And, if you are looking for great resources, I highly recommend National Fatherhood Initiative (NFI) (www.fatherhood.org). No doubt, NFI has the nation’s largest selection of fatherhood resources for new and experienced dads. 3) Check your “fathering” tool belt – There’s an old saying, “When all you have is a hammer, everything looks like a nail!” Clearly, having the right tool, at the right time, for the right job is one of the keys to successful remodeling and fathering. Do you have the right tools for the job? If not, there’s hope. Like most things in life, good fathering is skill-based and you can get the tools that you need to do it better. That’s why point #2 is so important. It will help you fill out your fathering tool belt. 4) Pick the right “room” – Experts say that you tend to get the most “bang for your buck” if you remodel your kitchen. In fact, they say that if you are on a tight budget and can only afford one remodeling job, the kitchen is the place to start. This advice is not surprising given that the kitchen is a place where families spend so much time. When working on your fathering, you too should be thoughtful about where to start to get the best return on your efforts as well. For example, do you need to work on the differences between you and your wife’s (or mother of your child) parenting styles? Or do you need to enhance your communication with your kids? How about getting assistance in setting the right boundaries for your kids? Or maybe you need to focus on being more effective in the way that you discipline? A good rule of thumb is to start based on what your kids need most from you. Trust me. If you ask them, they will tell you! So, there you have it. Follow this handy blueprint and get started now. After all, just like that old house in Harlem, your kids are unique treasures and may have hidden character attributes only you can uncover or restore.